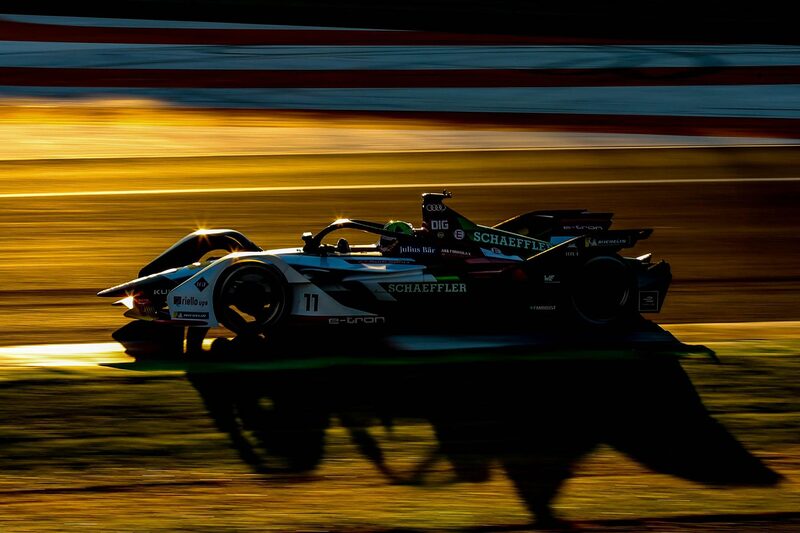 This weekend sees the first race in the 2018-19 FIA Formula E Championship take place in Saudi Arabia. With a brand-new second generation car, a host of new drivers, and even a special support series, this could be the biggest season yet for electric motorsport. Join us to get fully charged and up to speed on Formula E.
OK, what exactly is Formula E? Put simply, the only FIA-sanctioned electric motorsport championship. Imagine Formula One single seater racers, but powered by batteries, and you are on the right lines. 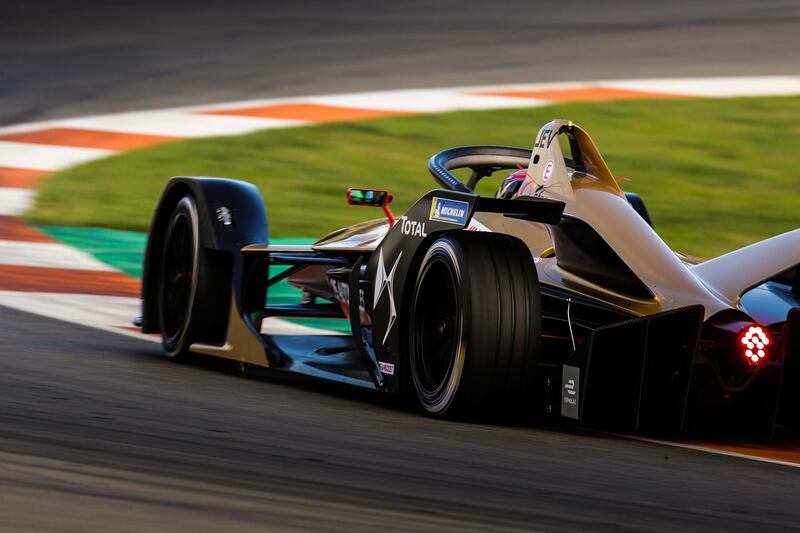 The championship began as a way to promote the significant development of electric vehicle technology, and to prove that battery power does not have to be boring. Formula E is now into its fifth season, and is proving to be increasingly popular. This season sees a total of 11 teams competing, with numerous big-name car manufacturers backing them. 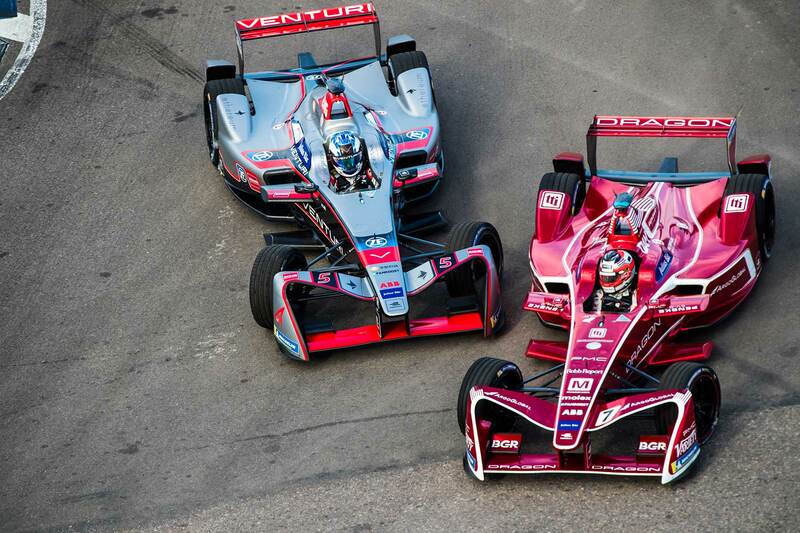 What cars do they use in Formula E? All teams use the same futuristic carbon fibre Spark-Renault SRT 01E chassis, with batteries supplied by McLaren Advanced Technology. Teams are able to supply and develop their own electric powertrains, but the rules are kept tight to ensure the racing is close on track. The cars do feature aerodynamic wings and spoilers, but these are nowhere near as intricate as those seen in Formula One. Again, this helps cars race in close proximity to each other, encouraging as much overtaking as possible. What is different about the cars for the new season? This season marks the launch of the second-generation Formula E car, marking a big change of the original version. The dramatic styling and incorporation of the ‘halo’ head protection are the most obvious visual developments. However, it is beneath the skin that the ‘Gen2’ cars have really improved. The battery packs now store 95 percent more energy, meaning they can last the full 45 minutes of the E-Prix. 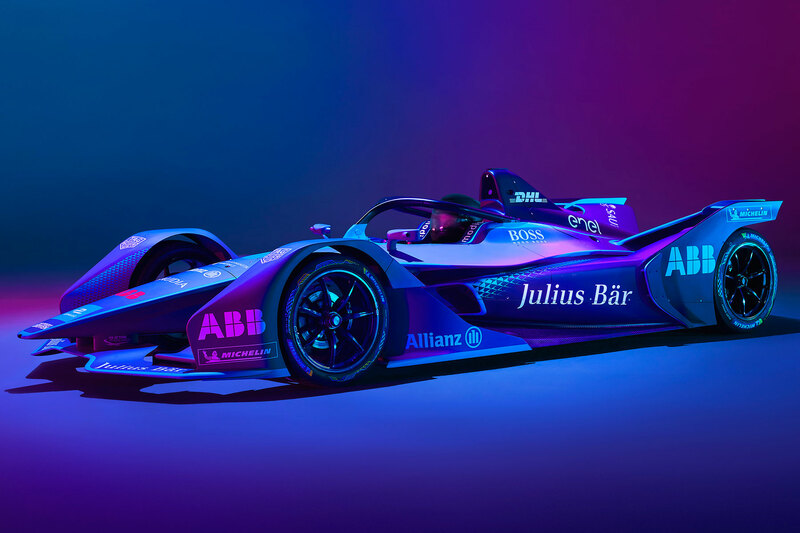 Drivers will no longer have to change cars part way through the race – previously one of the biggest criticisms of Formula E.
Performance has also improved, with the Gen2 racers capable of 0-60mph in 2.8 seconds, and an impressive 174mph top speed. Don’t think that electric power means Formula E is slow and boring. Will I know any of the Formula E drivers? If you have a passing interest in Formula One, then yes indeed. 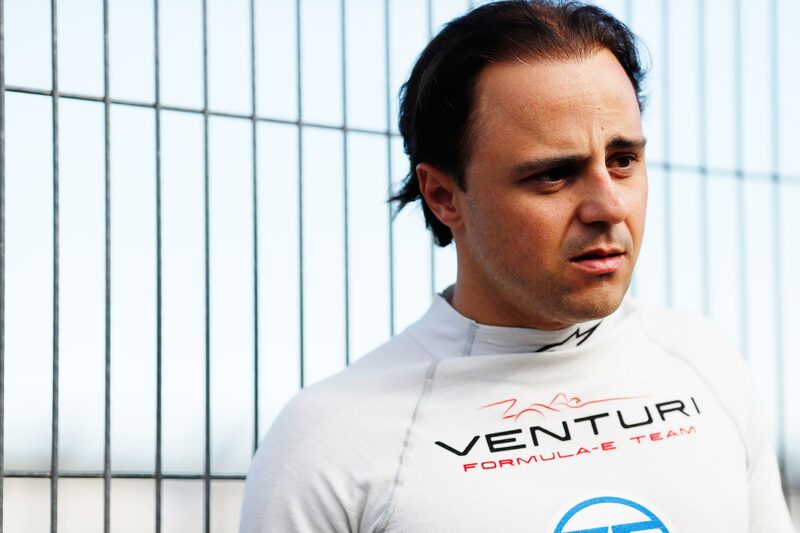 The biggest name to join the series this year is Felipe Massa – the former Sauber, Ferrari, and Williams F1 driver. He joins a grid which features a number of ex-F1 racers. Stoffel Vandoorne, Pascal Wehrlein, Nelson Piquet Jr, and Sebastien Buemi all previously raced in Formula One before making the switch to EV racing. Formula E isn’t all about retired F1 drivers though. It has also becoming a proving ground for young drivers to demonstrate their skills. The even machinery gives them a far greater chance of success than the current one-sided Formula One competition. Where does Formula E take place? 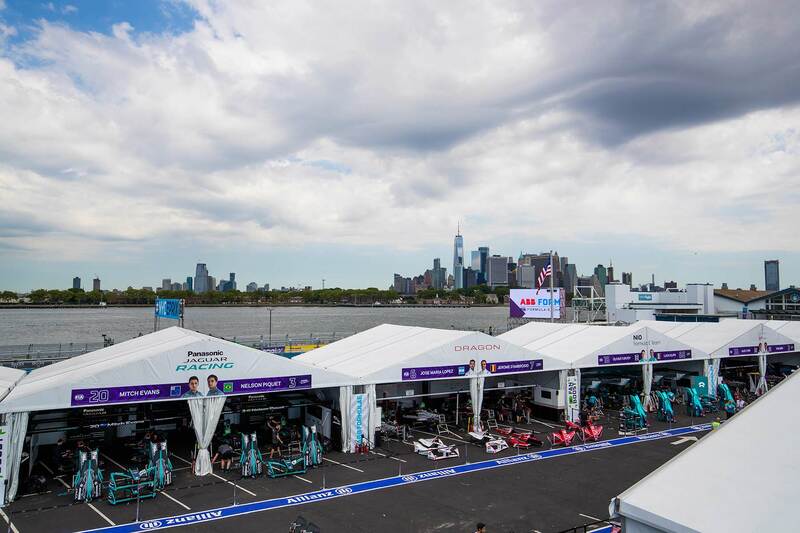 Formula E is dedicated to bringing action straight to the fans, which means racing takes place on street circuits in major cities throughout the world. New York, Hong Kong, Rome, Paris, and Berlin all feature on the calendar. In fact, London is one of the notable omissions from the cosmopolitan list, that even includes Santiago in Chile. The circuits are shorter in length than those used in Formula One, but feature tight layouts designed to encourage overtaking. That they take place with dramatic backdrops only boosts the appeal. Does it make for good viewing? Equal machinery, plus talented drivers and compact circuits, means the competition is as fierce as you would imagine. Expect to see wheel banging and bumping, as scores are settled and new rivalries made. This season also sees the introduction of a special ‘Attack Mode’, which sounds like something inspired by Mario Kart. Drivers will gain an extra temporary boost in power by moving off the racing line to run through a special designated area of the track. Fans can also use social media to vote for their favourite driver in the run up to each E-Prix. 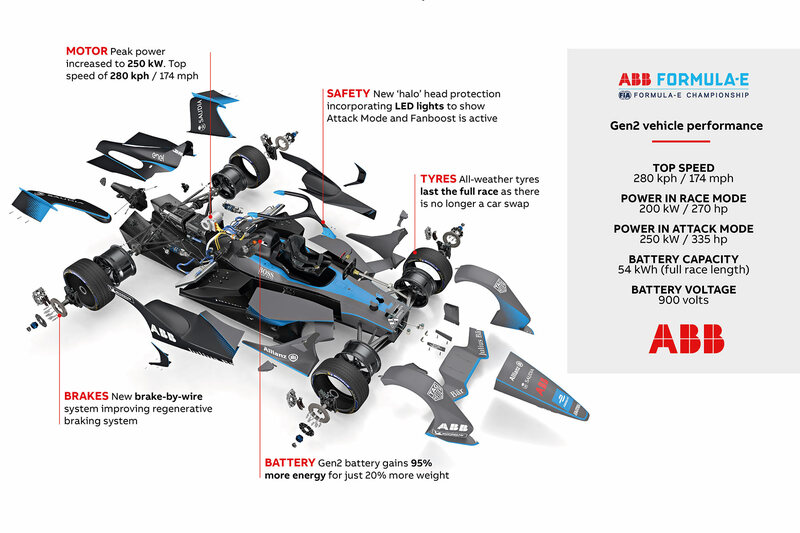 The most popular driver then receives an extra ‘fanboost’ of power to deploy during the race. Who is the current Formula E champion? 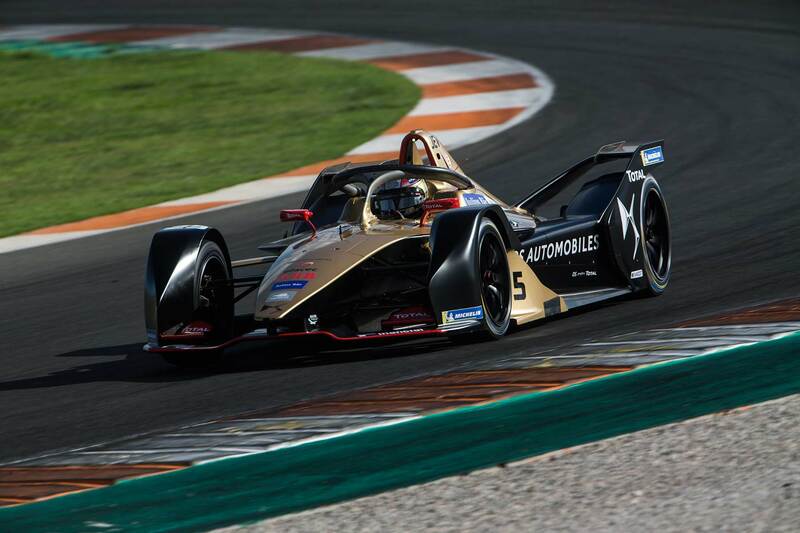 Ex-Formula One driver Jean-Eric Vergne emerged victorious in the 2017-18 championship battle. He beat Brazilian Lucas di Grassi to the crown, with British driver Sam Bird rounding out the top three. 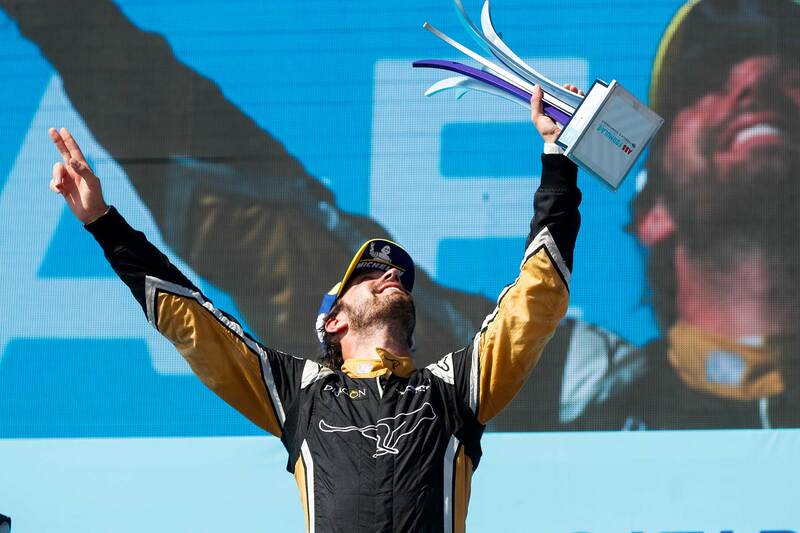 Vergne, driving for the Chinese Techeetah team, took a total of four wins from the 12 rounds. He returns again for the 2018-19 season, and will be looking to become the first Formula E racer to retain a title. Audi Sport ABT Schaeffler took home the Team’s Championship last season. The battle was fierce, with the German team scoring 264 points to the 262 of Techeetah. What is the Jaguar I-Pace eTrophy? 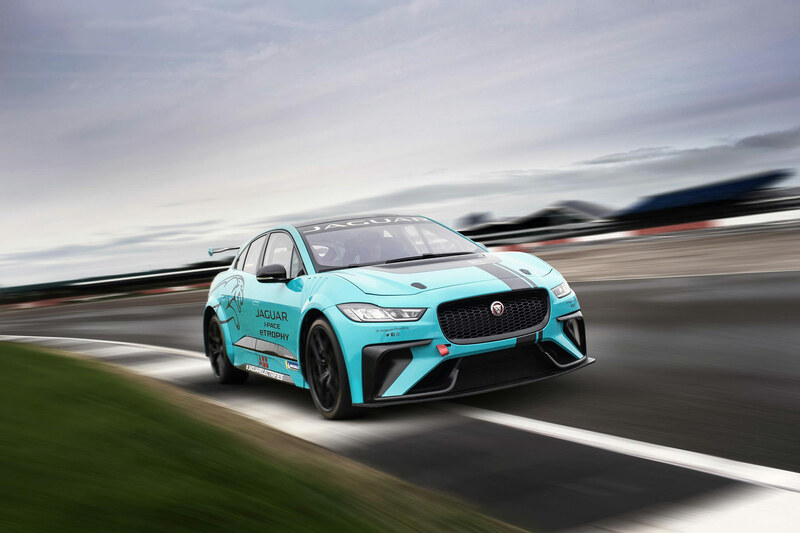 New for the 2018-19 is a support series for Formula E. The Jaguar eTrophy will see a field of up to 20 identically prepared I-Pace electric cars racing against each other. Hopes are high that this will generate touring car-style close competition, but with battery-powered propulsion. Each round will see a special VIP invited to drive one of the I-Pace racers, attracting famous faces from motorsport and beyond. The eTrophy will feature at 10 of the 12 rounds throughout the season, with each 25 minute race happening before the main E-Prix event. How can I watch Formula E? Multiple options exist for those in the UK to watch the 2018-19 Formula E season. The biggest news is the announcement of the BBC providing coverage of each E-Prix. This is through the BBC Sport website, and also via the Red Button interactive service. BT Sport ESPN subscribers can watch all practice and qualifying sessions in addition to the race. Eurosport 2 will air qualifying and race action live, too. Formula E will stream practice and qualifying sessions on Facebook, whilst a dedicated YouTube channel will also see live streaming. Full details and timings for every viewing option can be found on the dedicated section of the Formula E website. 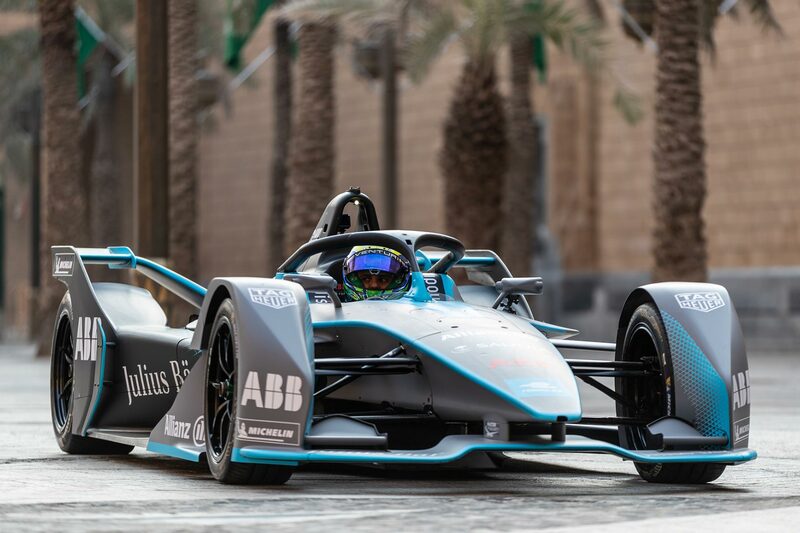 The first round of the 2018-19 Formula E Championship takes place in the historic city of Ad Diriyah in Saudi Arabia. The other twelve E-Prix events will take place in 2019.